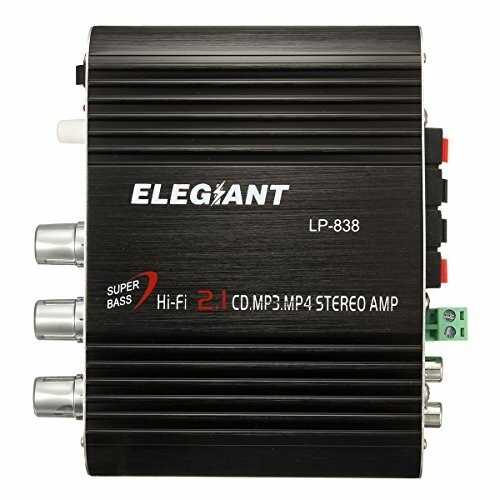 If you have a radio, MP3 or other stereo system attached to your car or motorbike, get great sound on the move with this 2.1CH hi-fi amplifier which is also a great option for connection to your home theatre or entertainment system. Mini size and easy to install DIY without the use of manual. Total harmonic distortion less than 0.4%, PROVIDING you perfect Audio Quality. Capable to drive the audio signals from MP3, MP4, CD, Radio, DVD. It is an INTEGRATED amplifier, COMBINING all the functions, hooking IT UP is very simple.